Sugar and salt are two complete opposites when it comes to taste, although they look very much alike. They both are crystalline substances with white color. And sometimes you can mix them up and put some salt in you coffee or tea, and put a little sugar in your meal. The good thing is that outside of kitchen they can both do wonders, especially when it comes to your skin. However, since they are not exactly the same products then there for sure be some differences when they are used for skincare. When you have some extra sugar or salt and you do not know what do to with it, do not think twice – use it on your skin. Here are all the differences you should know between sugar and salt and what reaction they have on the skin. There are a lot kinds of salt, like sea salt, Himalayan and regular cooking salt. But when it comes to using salt on your skin the best one is the sea salt because it is in granules which can exfoliate your skin. This is a method that helps remove the dead skin cells and help the new ones come on the surface. And thus your skin looks fresher and younger. Another reason why you should use sea salt instead of other products in granules is that salt contains a lot of minerals that our body and skin need to be healthy and function well. Some of these minerals are: potassium, magnesium, sodium, and calcium. When you have enough of these minerals you will feel more energized, relaxed and healthy. 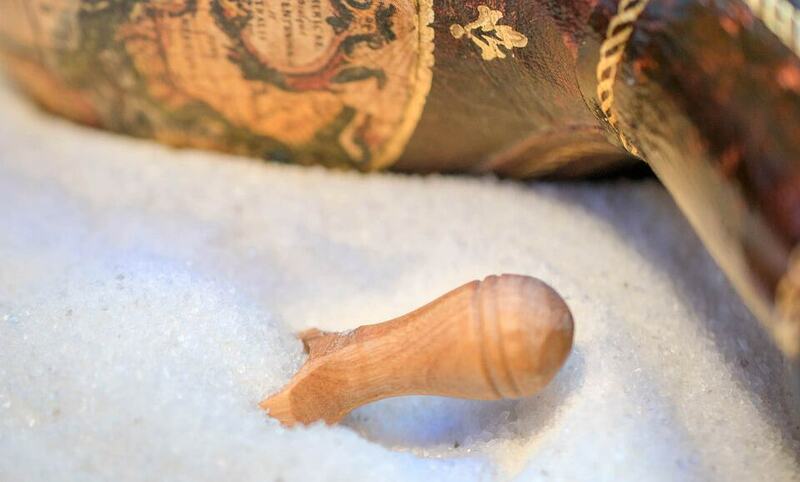 Another advantage of salt is that it kills bacteria. When you apply it on your face you will feel your skin nipping, this is because of the salt and it shows that it is doing its job correctly. It detoxifies your skin and purifies it. And actually the feeling is not that bad. When you scrub some sea salt on your face you massage it and you stimulate the blood vessels in your cheeks. And when you are finished and finally wash your face you will feel clean and fresh. Here is a mask with sea salt and honey you can try on your face. Put two teaspoons of sea salt in a container and mix it with four teaspoons of organic honey and stir well, or at least as much as you can so you have spreadable paste. Then wash your face with lukewarm water and tap it with a clean and dry towel, so it can absorb some of the moisture. Then apply the paste on your face evenly, and, of course, avoid the area close to your eyes. Let the mixture stay on your face for about 15 minutes and then wash get a piece of cloth and put some water on it, so it only gets a little wet. Apply it on your face for a minute, so it can get a little moisture. Then use your clean fingers to gently exfoliate the skin, by moving them around in circular moves. When you are ready, or just tired, clean your faced with lukewarm water. The combination between honey and salt will help balance the oil production of your skin, thus you will have no extra pimples. Except that sugar can make your life sweeter when you eat it, it can also help the skin of your face revive. Its structure is similar to the one of salt but there, of course, are some differences. One of them is that when you scrub your face with sugar, and not salt, it does not sting that much. Also if you scrub your freshly shaven legs with sugar, it won’t irritate it even if it sounds strange to you at first. You will need a teaspoon of lemon juice (pure lemon juice) and a coffee spoon of sugar. Get a cotton bud and pour the juice over it so it can get soaked, then put the sugar over it. And this is it. You need first to wash your face with warm water. The warm water will open up your pores, so when you clean it with sugar it cleans them, too. Then get the cotton bud with the lemon and sugar and scrub your face for some time. If you feel a little nipping it is because of the lemon, not the sugar. Then wash your face and continue with the rest of your beautifying procedures. Another benefit of sugar, is that unlike salt it does not have such a drying effect on your hair. You have probably noticed when you swim in salt water (sea or ocean), your hair gets really dry. This is because of the salt in the water. Sugar on the other hand does not have such a devastating effect on the hair. And you can use it with some olive oil to have one of the best scalp scrubs. Since the granules of the sugar are smaller, they do not irritate the skin as much as the salt ones, so it is more gentle on you.